Requests for proposals (RFPs) continue to gain popularity among law firm clients, as pressure to reduce expenses increases. Yet, for law firms, the process of responding to RFPs is time-consuming and a drain on resources. Factor in that the ROI can be limited, especially when some companies that employ RFPs are merely on a fishing expedition or use the tool to put pressure on the firms they currently retain. 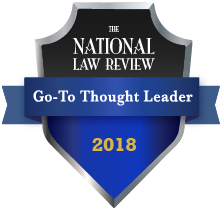 Vivian Hood, Jaffe's President of Public Relations, recently wrote an article for the National Law Review on how legal marketers can position themselves for success in the new year. Titled "Are you Prepared for Opportunity in 2015," the piece, which published Jan. 9, provides several takeaways that legal marketers can incorporate into their professional routines. Gorkana, a leader in media intelligence solutions for PR professionals, recently interviewed Jaffe President Vivian Hood for its "Behind the Headlines" column. In the interview, which published on Dec. 15, Vivian talks about assuming ownership of Jaffe, her thoughts on PR and her passion for storytelling...and cookies. Texas Lawyer readers recently chose Jaffe as one of Texas' best public relations firms for the legal community. The ranking is part of the magazine's annual "Texas' Best" survey. According to Texas Lawyer, "businesses that rank as part of the survey are firms that were voted by hundreds of lawyers as the best of the best."